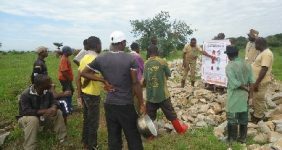 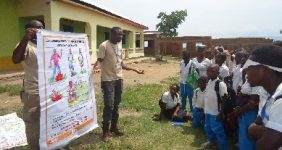 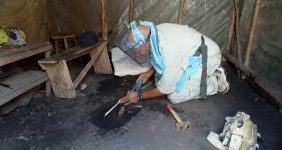 A recent UXO incident tragically became fatal for four villagers in the South Kivu province of the DRC which prompted TDI Multi Task Teams to conduct intensive Mine Risk Education (MRE) sessions in the area. 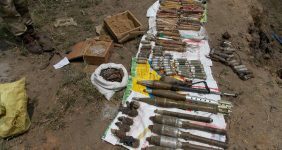 Chiefs, villagers and local children were made aware of the presence of these deadly weapons, and what precautionary action to take if any are found. 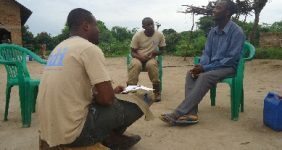 TDI currently has two multi-task teams operating in the Democratic Republic of Congo. 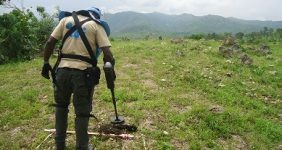 Deployed in both North and South Kivu province, these teams conduct UXO spot tasks whilst providing survey and clearance of hazardous and stockpiled munitions. 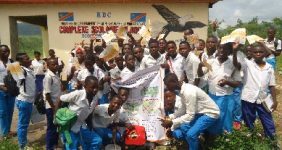 Contrary to the diverse operational scope of the project, recent activities have been hindered due to the progressively volatile situation in the DRC. 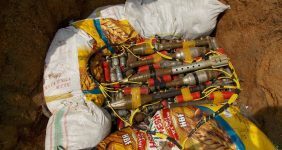 Movement restrictions have been issued and demolitions are sporadic for fear of further distressing the population. 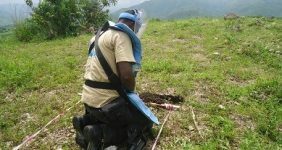 In the South Kivu and Tanganyika province, one of the teams has been busy conducting Explosive Ordnance Disposal operations as well as educating the local populace on landmine and UXO risks. 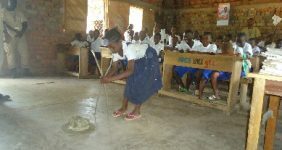 School children from the region were taught how to indicate suspected UXO with a local marking system utilizing a manual stone method, and the students were provided with informative MRE materials to revert to in the future should they come across what they presume to be UXO. 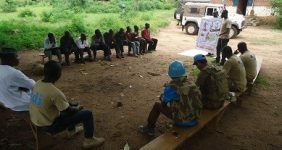 In conjunction with the MRE sessions, the site of the incident was manually checked and cleared by the team as an ultimate safety measure. 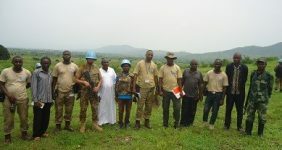 Prior to their departure from the region, they also conducted a safety operations briefing with members of FARDC and local village chiefs summarizing the precautionary action administered by TDI and the valuable risk education offered which is paramount to the recognition of UXO-associated dangers.